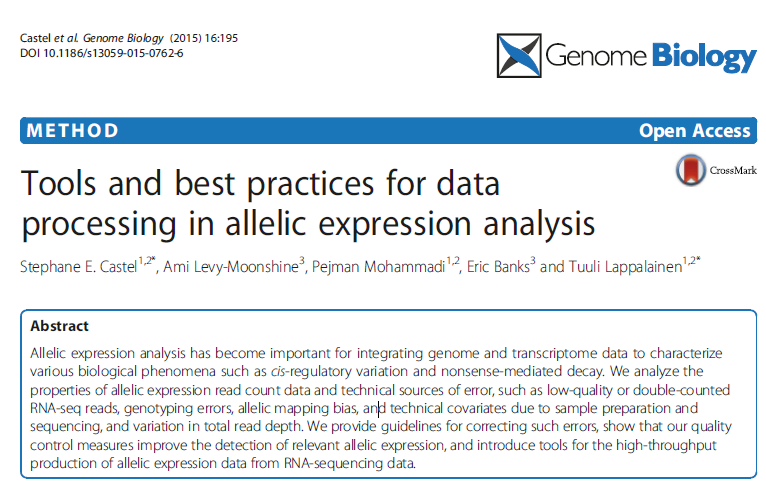 We analyze the properties of allelic expression read count data and technical sources of error, such as low-quality or double-counted RNA-seq reads, genotyping errors, allelic mapping bias, and technical covariates due to sample preparation and sequencing, and variation in total read depth. 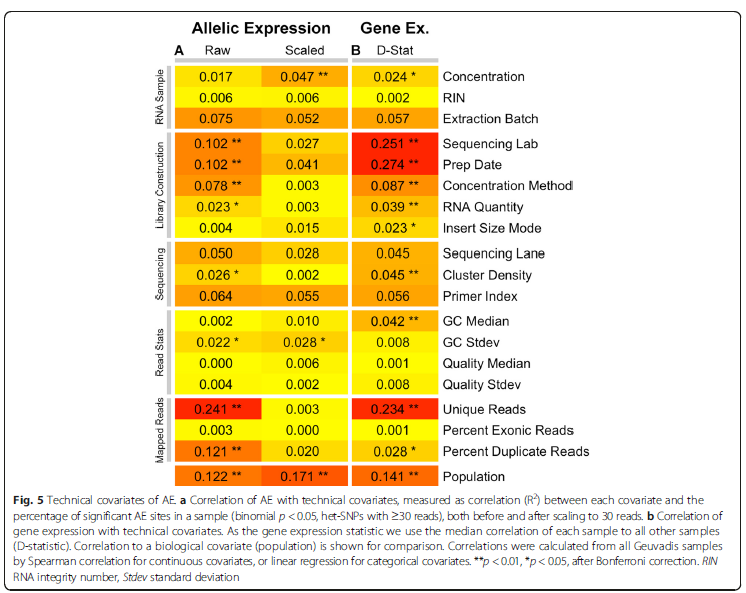 Standard RNAsequencing (RNA-seq) data capture Allelic expression (AE) only when higher expression of one parental allele is shared between individual cells, as opposed to random monoallelic expression of single cells that typically cancels out when a pool of polyclonal cells is analyzed. 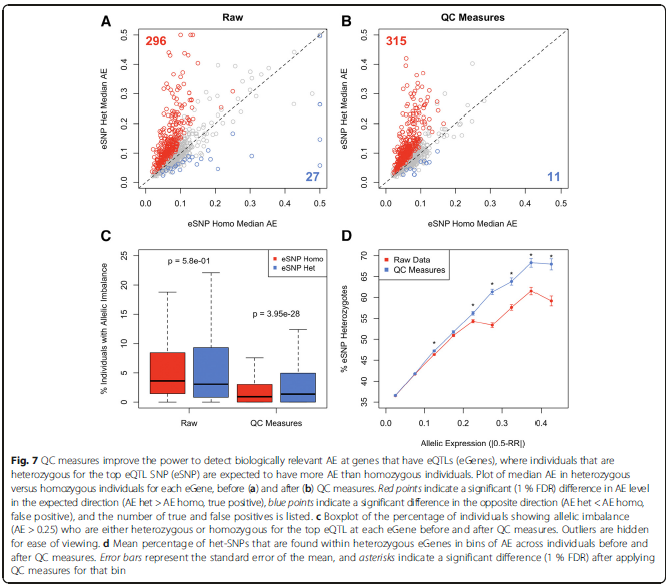 In genotype data that has passed normal quality control (QC), including Hardy-Weinberg equilibrium test, genotype error will lead to rare cases of monoallelic expression per site, not shared across many individuals. 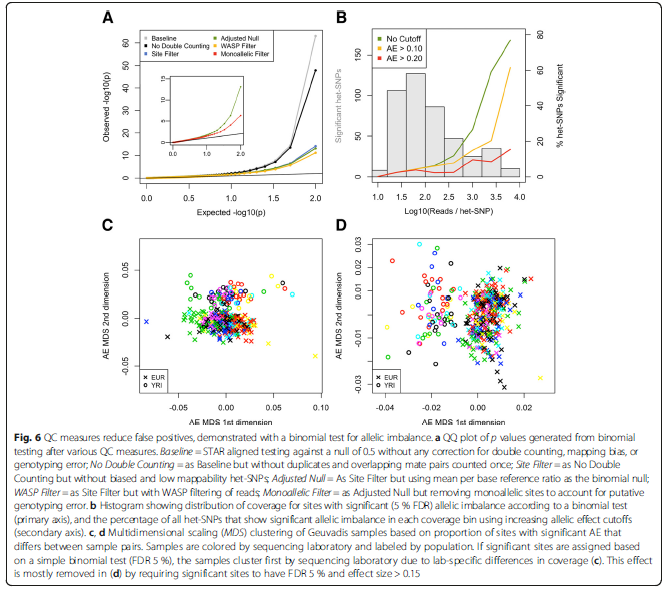 RNA-seq has become a mature and highly reproducible technique, but it is not immune to technical covariates such as the laboratory which experiments were performed in, aspects of library construction and complexity and sequencing metrics. 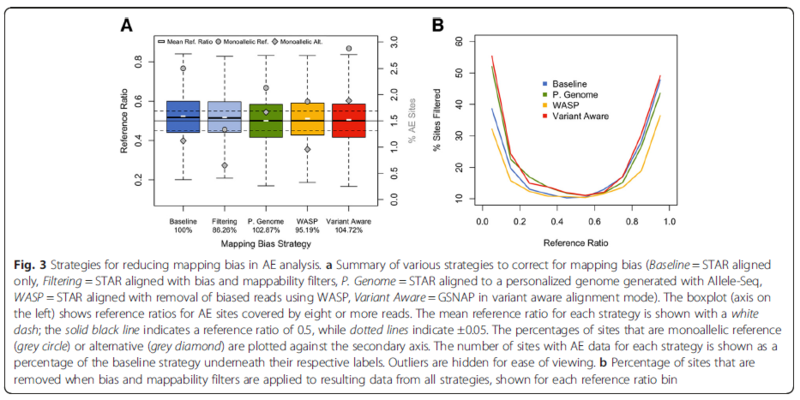 When appropriate measures are taken, AE analysis is an extremely robust approach that suffers less from technical factors than gene expression studies.